18 Mile: Ice Road Trucker ??????????? 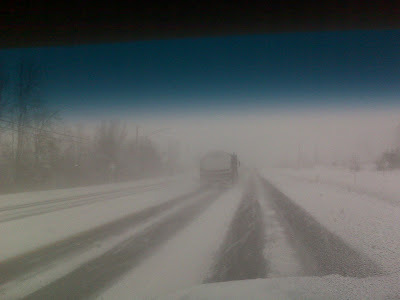 Ice road trucking’ on the coffee run today and it was not a fun drive. The wind was howling blowing the snow everywhere but a man needs his coffee and some fresh air. I had to gas up on the way and I think I developed icicles on my short hairs while standing at the pump. Can we just have a 50 degree Great Lakes thaw already? Please!!!!! Well I was looking at Harv’s new blog and just added it to my follows list. I think I know a few guys from Muskie’s Canada that fish up by the Saugeen from the London area. On the way up on my trips to Nippissing, I would drive by a lot of rivers flowing into Georgian Bay wondering if they hold steelhead and how the runs are. I am sure I will blog about the glory that is the Canadian Shield. I can go on forever about that subject. Anyhow Harv’s blog reminded me to write a few words about what one of the hot baits from last fall for me was: the Gulp Minnow. The Gulp Minnow was absolutely deadly in clear water conditions. I don’t know what that stuff is made out of but it works. It is so life like, I literally could watch in some cases the steelhead flash side ways to attack the bait. They never got spooked or bored of the bait. 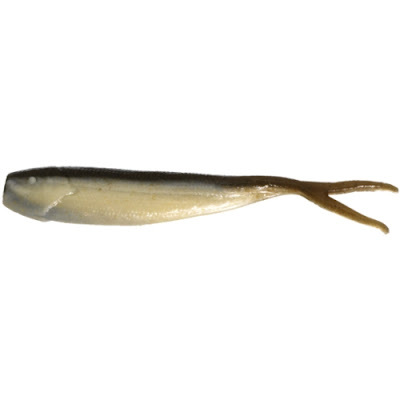 I have to give credit to Commander Tom in regard to the Gulp Minnow. We were on a weekend muskie trip on Lake Chautauqua and the Commander brought them. Not for the muskie of course but for the perch. The Commander is a multi species fisherman extraordinaire. He is never with out his ultra light set up and takes great pleasure sitting on the dock with a few beers catching some perch. Well he introduced the Gulp to me and we both agreed that they may work on the steelhead. We were right and it became another bait to add to the pinning arsenal. I am looking for ward to getting the gulp alive juice that I saw in a spray bottle. It may be the ticket to add to some yarn flies. Well that all for today folks. Keep safe and keep warm. Now back to the coffee……..
Norland has been hankerin to hit the outflows and see if we could smack some fat brownies. Perhaps I could sneak us in for a fish or two. Hey Joe, great site here!! Thanks for stopping by mine. In the last few years I have experimented with jigs and pink worms with some success. I quite often fish down low on some of our rivers and I would bet that drifting a Gulp Minnow would indeed be killer - I will try it this year for sure. Those things would murder the Browns at the outflows..
Morin ..you gotta get us clearance!!! Just out of curiousity...how did you rig em? With jig heads or just a normal hook through the eye? I use them with a 1/32 ounce jig head but I have tried them just on an egg hook. Just not the same amount of success as a vertical presentation.